MF Digital’s CougarNET command module software allows full control of 1 to 100 Cougar systems– send jobs to any Cougar on the network with as little as two key depressions. Included is an embedded PC running Windows 7 Pro complimented with a massive 500GB hard drive for massive image storage. Along with these features are those that you expect from MF Digital such as intelligent spindle select and job relay modes. 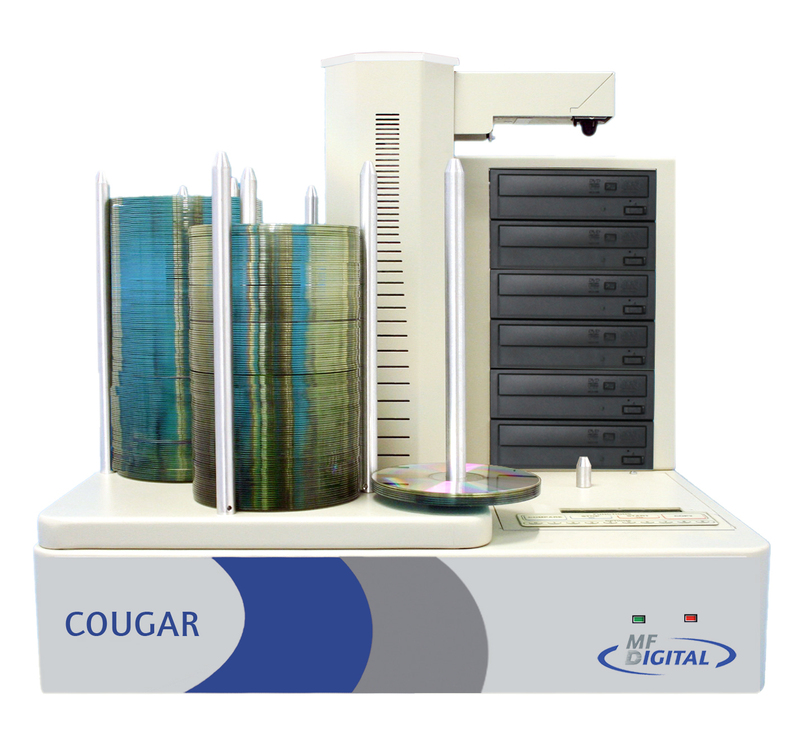 Designed and manufactured within the USA, supported worldwide with free lifetime software upgrades – Cougar 6600 is the leading solution for high volume production requirements. Cougar is available now, priced at $3995 ready to go.